One of the most creative and versatile of Slovak authors, Jozef Cíger-Hronský (1896 Zvolen- 1960 Buenos Aires) was "rehabilitated" during the Czechoslovak Spring but is scarcely known in English, though he is one of the originators of Slovak lyrical prose and, according to Alexander Matuška!! !, he is the only modern Slovak writer whose truly excellent works number not one/two but five/six. 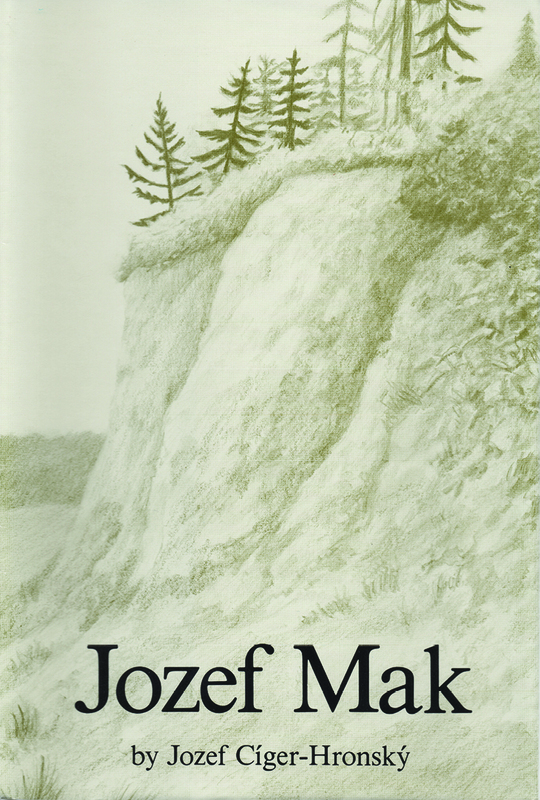 The novel Jozef Mak (1933), his acknowledged masterpiece, with elements of both the expressionist and symbolist movements, is the story of the "ordinary" human being, as common as poppyseed (mak), one of millions with hands crucified by constant toil, who outlasts stone and steel by their human patience and courage. Translated into German as Die Armen Seeligkeiten des Josef Mak, this novel is said by the Czech critic and translator Emil Charous (1972) to reach the best European level of the inter-war period. The translator Andrew Cincura was a good friend of Hronský and spent much time with him in Austria, Bavaria, and Italy in 1945-47 before Hronský moved to Argentina.